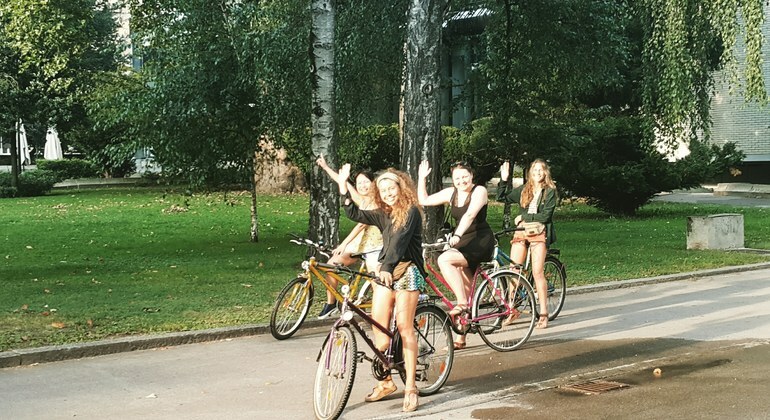 Enjoy Ljubljana under the sunset on this unforgettable 2.5-hour free bike tour. We will cycle around the city discovering the most beautiful landscapes. 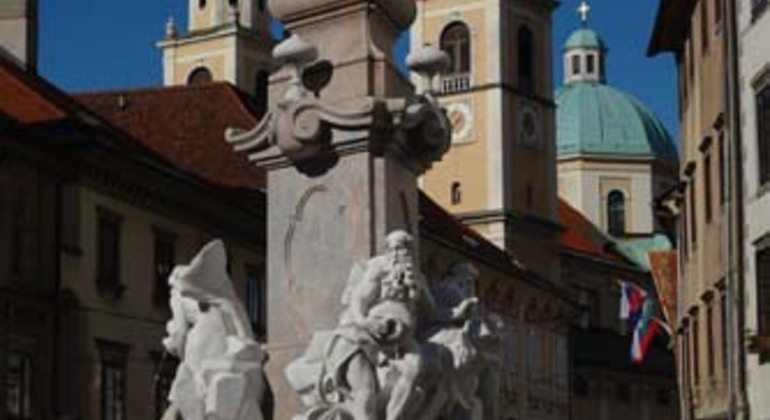 Discover the main attractions of Ljubljana on this fantastic walking tour and learn the history from the Greco-roman era, through the middle ages, to socialist times. 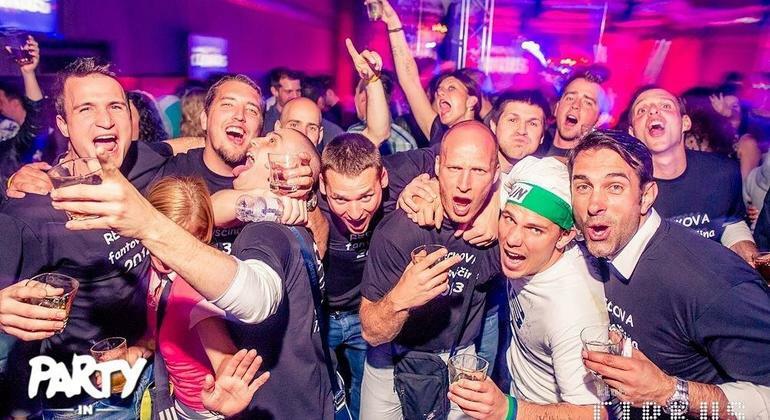 Enjoy this crazy night out in Ljubljana with the cool local guide who will party with you! 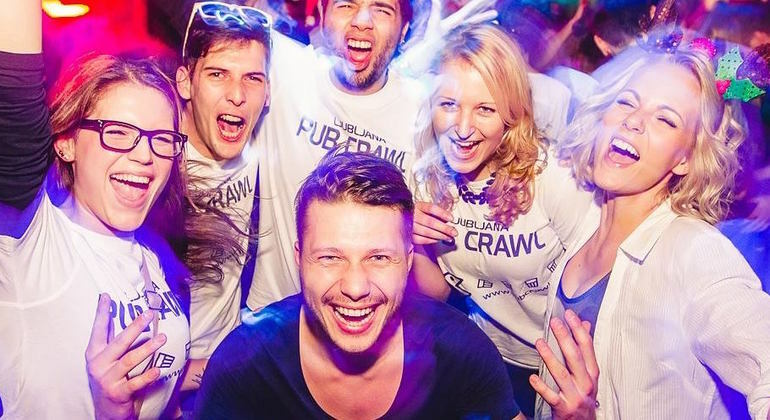 Meet people from all countries as well as locals and enjoy the best of Ljubljana's nightlife! 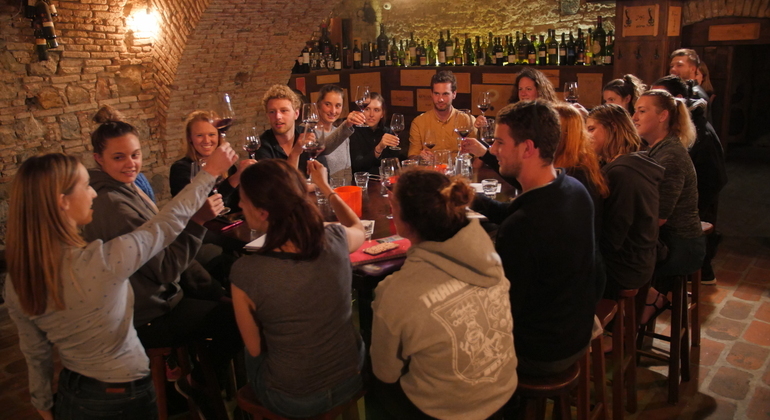 The best wine tasting activity in Ljubljana. Get ready to taste wines from different wine regions of Slovenia with our wine expert in our 300-year old wine cellar. Experience the tour in Ljubljana and immerse into tastes of the traditional Slovenian beer. Try different sorts of beer in a local pub and know all about its preparation. Explore the captivating attractions of Ljubljana with a marvellous local guide who will reveal the fascinating past and stories of beautiful Slovenian capital. 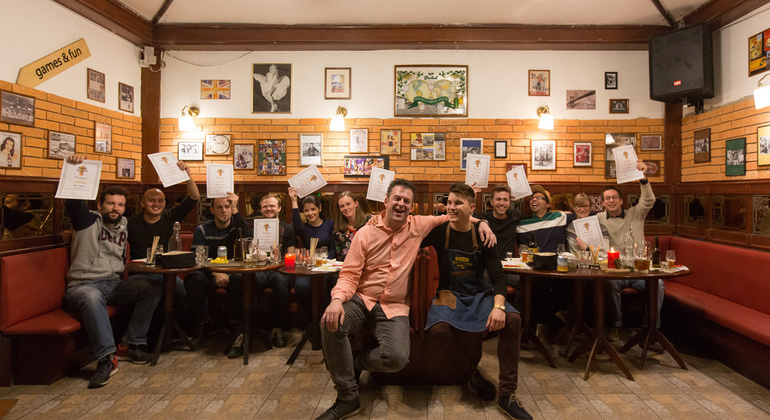 Devour traditional Slovenian cuisine in an extraordinary and famous pitch-black restaurant in Ljubljana. 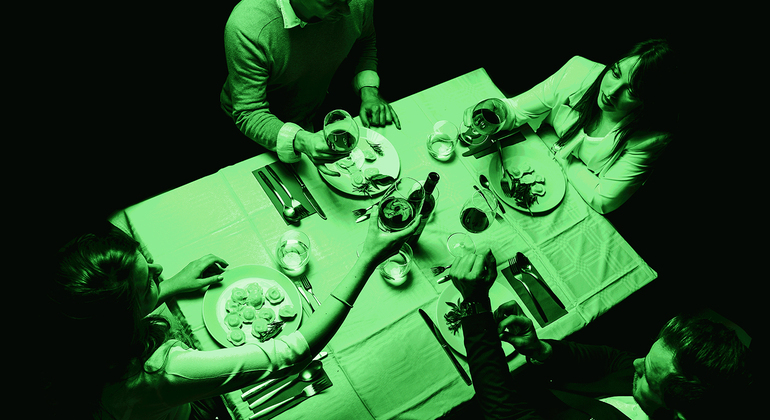 It's an amazing culinary experience for foodies. Ljubljana is Slovenia’s cool capital known as a liveable, green city, winning the desirable title of the Green Capital of Europe for 2016. 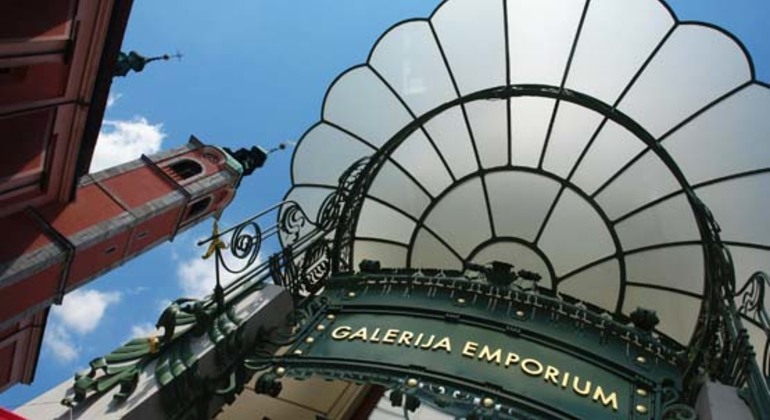 It’s located in the middle of an essential trade route and has been an important cultural, educational, economic, and political center of Slovenia since the country became independent in the late 20th century. Ljubljana is quite a charming and attractive, medieval city featuring a fascinating early-modern, minimalist design. In the summer time the city transforms into a lively wonderland where cafes, pubs and restaurants are filled with locals and travelers alike. Live musical events and off-beat street performances aren’t an uncommon sight through the summer months. And during the winter, Ljubljana hosts a large university population that brings a lot of life to the local scene. The lively city center boasts a harmony of pedestrians and cyclists, where car traffic is forbidden. Overlooking the city is the mighty Ljubljana Castle, that allows people to get a great view over the city in all directions. Visiting Ljubljana is like taking a step back in time, where things just seem to happen a little slower. Ljubljana is a fascinating travel destination, best explored by foot. Take a free walking tour or dive into the local nightlife by joining the pub crawl, promoted by FREETOUR.com.